The good, the bad, and the ugly of student loans. The good is *hopefully* you get to use your degree and earn more money than before. The bad news is that you have to pay off student loans. And the ugly is when student loan payment first come due. This takes me back to when my first student loan payment was due. I was broke. No denying that. I was broke. Didn’t have any extra money. Living paycheck to paycheck. My cool better paying job didn’t start for a couple of months. But, my student loan payment was due. No more 6 months grace period. That was the low point when I realized the true cost of debt. Now, I was slave to the lender. Barely making rent and eating food. Christmas was looming in a couple of weeks. That was a low point in my money journey. 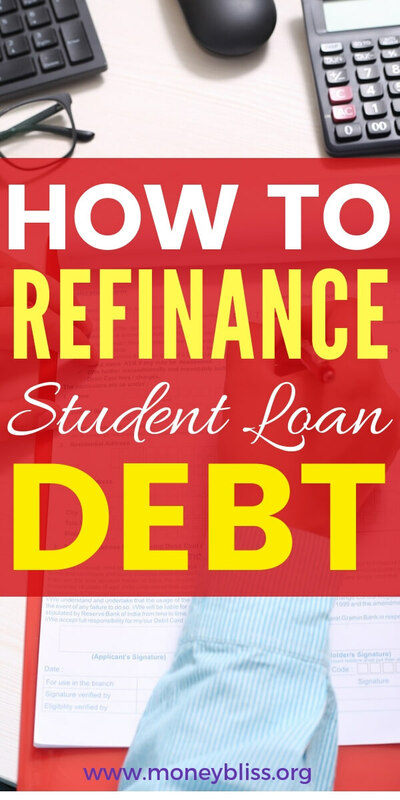 Can you refinance student loans? Yes. But, it’s not that simple. With the student loan interest rates hovering between 5-7%, refinancing your student loans is a must. However, before you skip along knowing your answer, keep reading (all the way to the bottom) because there are important variables to consider as well as understanding the true cost of interest. And if you want to avoid student loan debt, this is a must read! What it means to refinance student loans? By refinancing your student loans with a private lender, you consolidate the existing private and federal student loans into one new student loan with a lower interest rate. The outcome is lower monthly payments. Then, money is freed up to pay off student loan debt or save money. The refinanced loan servicer will replace your current loan servicer. To start this process, learn more here. If you are looking to consolidate your student loans with the Department of Education, then your loans are lumped together into one new loan with a weighted average on your current interest rate. Thus, you are unable to save money on interest, but you keep some of their Federal Loan protections like student loan forgiveness, if those apply to your situation. First of all, $1.4 Trillion dollars is the estimated total student loan debt in the U.S. and continues to grow daily. One out of four Americans have student loan payments averaging $393/month. Yearly total would be almost $5,000 – which is about the cost of a Disney vacation or international beach vacation. Just numbers to chew on and digest. Student loan debt is a crisis facing our society today. That is why we decided to pay off our student loan debt in one year. Enough was enough. The average amount of just student loan debt is $37,000. Let’s say the undergraduate student loan is the average student loan debt of $37,000 and carries an interest rate is 4.5% with a repayment period of 10 years. In this case study, the amount paid in interest is cut in half. And that doesn’t include paying the debt off sooner. Check current refinance interest rates. Let’s assume the same amount of debt as the first case study, but with a 5% with a repayment period of 25 years. The amount saved in interest is huge. Personally, I do not recommend refinancing for a 25 year period. That just stretches out the inevitable. The Need to Pay Off Debt. Related Resource: Are You Making One of these Common Debt Payoff Mistakes? This is about simplicity. It is easier to have one bill, one payment, and one customer service contact. Many times upon graduation, the likelihood to have various student loans to pay is common. 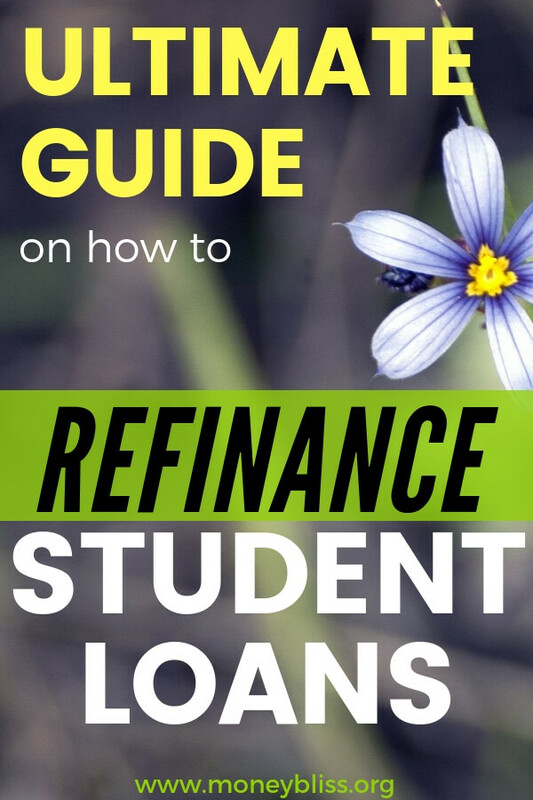 By refinancing your student loans, you have one student loan servicer and bill. 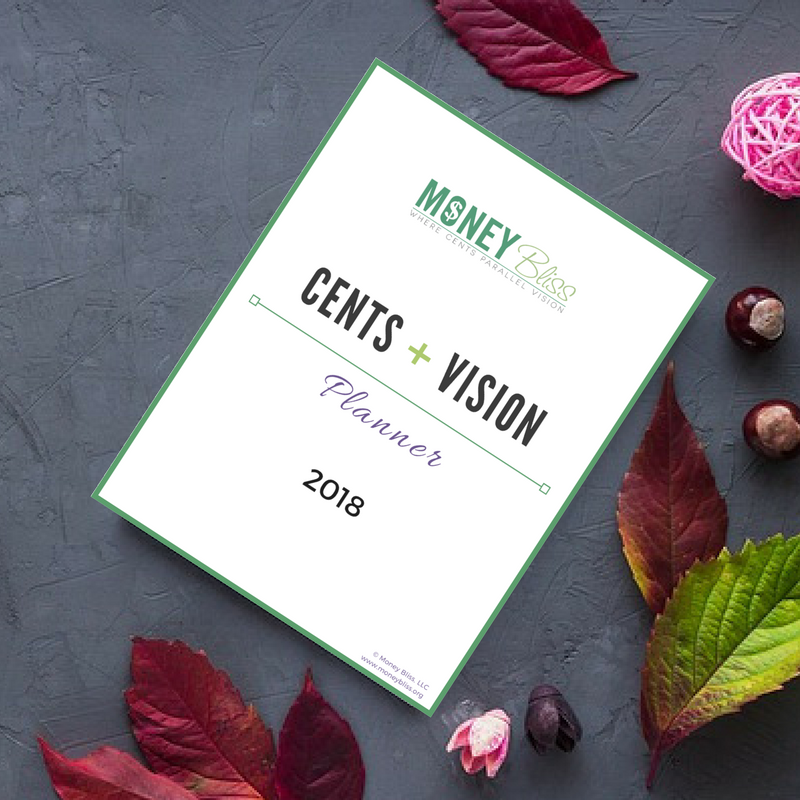 This helps when managing your finances. The less to manage, the more you time you have for something else. This is the primary reason to refinance student loans. Save thousands of dollars on interest rates. There are two ways to increase the money in your life. One is to earn more money. The other is to save money. In this case, it is simple to save money with a lower interest rate. With a lower interest rate, more of your payment is going to principal than interest. And that is a good thing! At the beginning of the loan period, more money is going towards interest. Towards the end, more money is paying off the principal amount (the amount of money already spent). By refinancing your student loans, the interest rate is lower, which thus decreases your payment due. Then, you have more money each month. This extra cash flow may be needed to help you get you settle into this new phase of life. Also known as adulting. However, that doesn’t mean you can’t pay more on your student loans. It just means that you have more money going towards principal instead of interest. A lower interest rate means more of your hard-earned money is going towards principal and not interest. That is what helps to pay off loans faster. If you are motivated to pay off your loans even sooner than the dedicated repayment period, then refinancing is a must. Less interest is money saved in the end. 5. What is Your Reason? Above we laid out the smart reasons to refinance student loans, but what is yours? What is your reason to refinance? Too many times, we don’t think long term to uncover our vision and then work diligently to that vision. So, what is your reason to refinance? 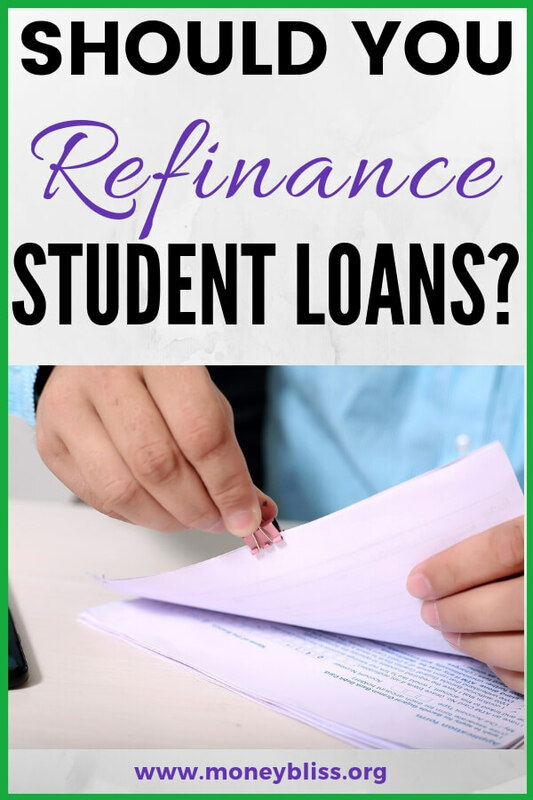 While these are good items to consider, don’t give up on refinancing your student loans if you are unsure if you will qualify. Let the experts – student loan servicers – look at your personal situation. All in all, they want to make sure you are able to pay back your debt and their investment. The question of do you want a fixed interest rate or variable interest rate. This decision is personal to you. With a fixed interest rate, the rate is consistent over the life of the loan. The interest rate will not change at any time. This option is best for someone who is struggling to make ends meet and doesn’t see a way to possibly pay off the refinanced student loan in the foreseeable future and doesn’t qualify for student loan forgiveness. Interest rates on variable loans are typically lower than fixed interest rates. However, that comes at a caveat. They can adjust at any time or after a certain time period. Thus, a variable interest rate is riskier. The variable option is for someone who already has a plan in place to pay off their student loans in a set amount of time and has the financially means to be able to do it. The decision between fixed and variable is completely up to your personal finance situation. Just remember, you want to build a strong foundation with money. That means an emergency fund is already in place. 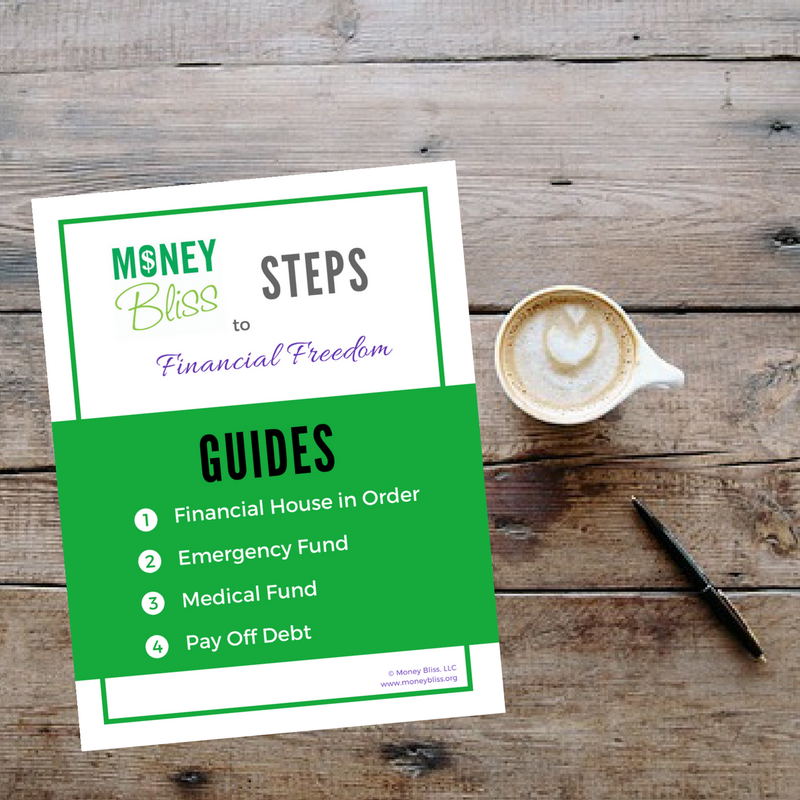 The Money Bliss Steps to Financial Freedom were developed based on this concept of a strong foundation. Learn where debt falls. 3. Include all loans or not? The first thought is to include all of the student loans and make things simple. However, it might not be advantageous do to it that way. For example, when I refinanced my student loans, I had one loan that was the smallest amount, but carried the highest interest rate. So, when I was consolidating my student loans, my interest rate was significantly higher with that small loan included. Without including that small loan, I saved about 1 percent on my interest rate. Then, I attacked the high interest rate loan first and knocked it off in less than a year. 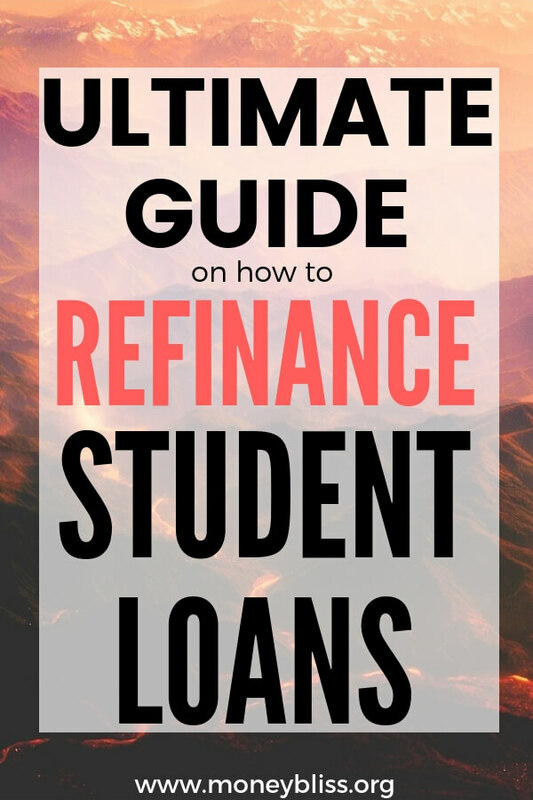 It is okay to ask your potential student loan refinance company to run various scenarios. 4. Need the Federal Student Loan Repayment Options? When you move your student loans to a new loan servicer, then you are agreeing to the new terms of the loan servicer. Thus, giving up any terms with your old servicer. Some of the terms that may vary include deferment, forbearance, or income driven repayment. The big one is student loan forgiveness. If repaying your student loans is a concern (over the long term), then these benefits may be crucial for you to give up. 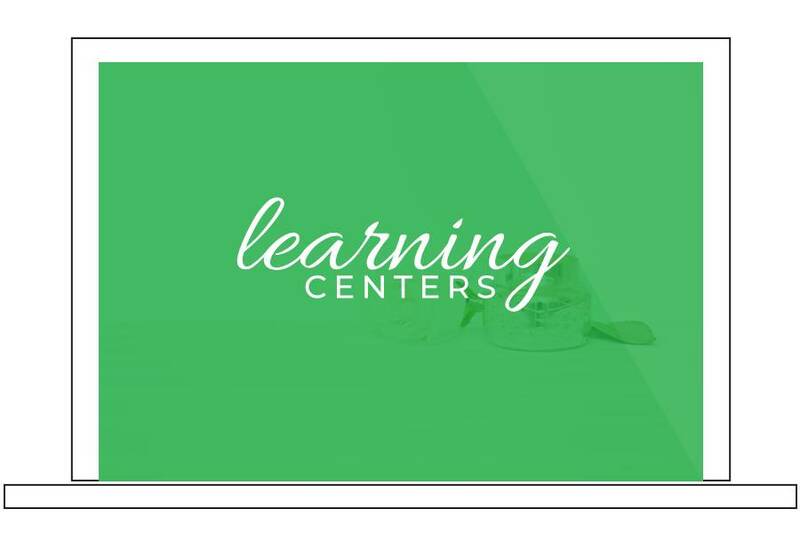 If student loan forgiveness is a possibility, them go here to learn more and see if you qualify. So, you must weigh the pros and cons of learning the differences for your personal situation. Note: Private loans don’t have any of these benefits. This is one point not to be overlooked. Each company offer a variety of different benefits, interest rates, and terms. It is okay to shop around. Actually it is highly recommended to check a variety of companies. 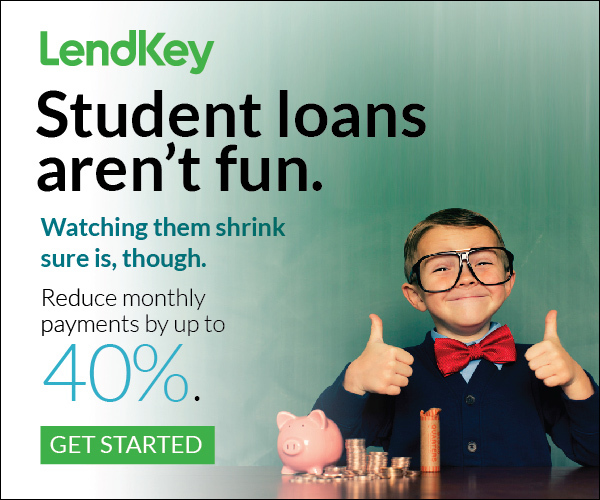 LendEdu will instantly shop the leading student loan refinance companies and instantly provide you a quote. 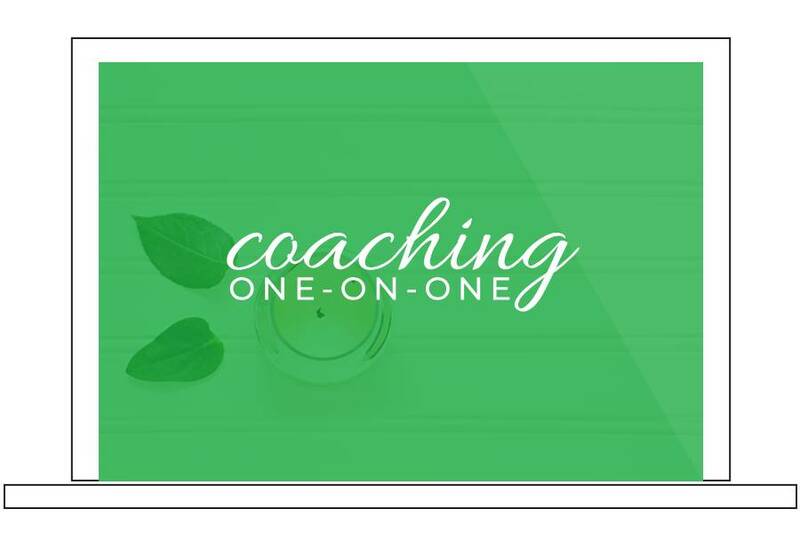 Go here to get started. LendKey works with hundreds of banks and non-profits. 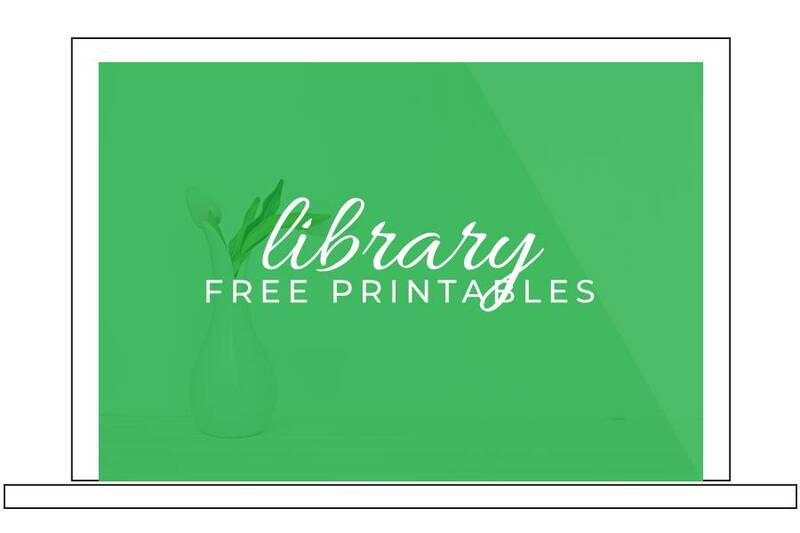 With their platform, they pass on the savings to you. Go here to check rates. SoFi is one of the most popular student loan refinance companies because of their service and low interest rates. Also, they offer a $100 bonus for using this link. The choice is yours. Just remember it is okay to shop around for the best loan for you. If you’re in the second boat, then keep reading and be prepared to pay off student loan debt fast. First, you have to attack it. No progress will be made if you pay extra here or there. Miss a payment here or there. You must get crazy mad at your student loan debt and attack it. The personal finance journey is about building a strong foundation with money. To be successful, an emergency fund must be in place. This doesn’t mean 3-6 months of expenses. That comes after paying off debt and living debt free. This is money set aside for emergencies. Don’t pay extra on your debt until a solid emergency fund is in place. Not sure how much to save? Complete Guide to Sinking Funds – Why They are So Important? Make a budget and live within your means. While this seems simple advice, it is too common of overextending spending here and there. Then, a snowball of overspending happens. Write how much extra per month you want to pay off debt. Figure out how to live off the remaining amount. This means sacrifices will be made. Fun spending may be next to nothing while paying off debt. Just remember…debt shouldn’t live with you forever. Only a short period of time. These are simple way to get your interest rate and an extra .5-.75% lower. Every penny saved counts. Student loan forgiveness sounds fabulous, right? However, there are many caveats and making sure every is handled properly. It is possible to have your student loan forgiven. However, a small percentage actually have it happen. Because the rules to student loan forgiveness are always updating, go here for the most current information. In most instances, refinancing student loans is recommended. Make sure to do your due diligence that a refinance or consolidation is best for you personal money journey. If avoiding student loan debt ever, this is a must read! In the long run, paying off student loans was our trajectory point towards financial freedom and lower stress. This is how we did it. If we did it, you can too! 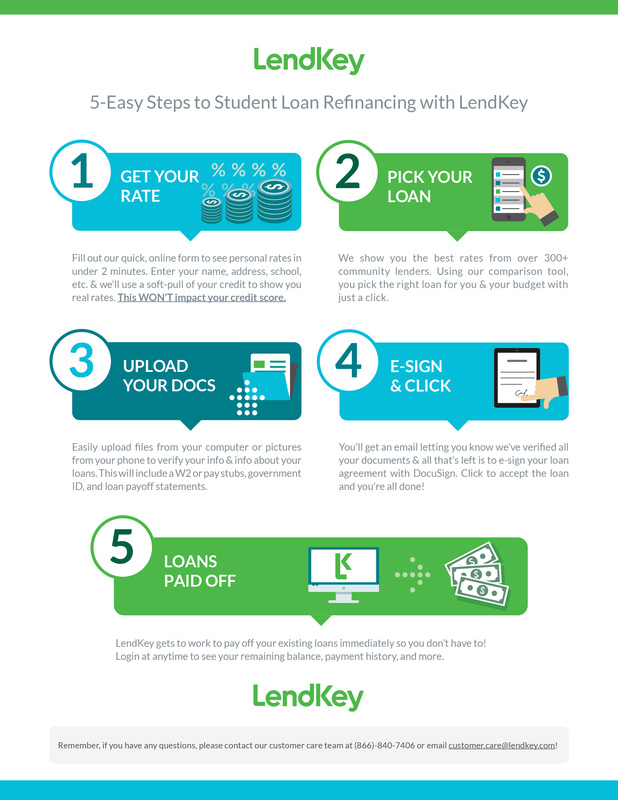 Start the process now and check for the best rates and terms with LendEdu, LendKey, and SoFi.